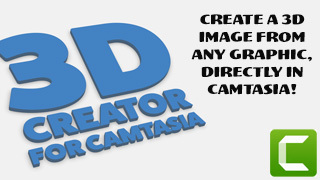 With 3D Creator for Camtasia you can bring in your own images and with two clicks, they’ll become 3d versions which you can spin around and animate. 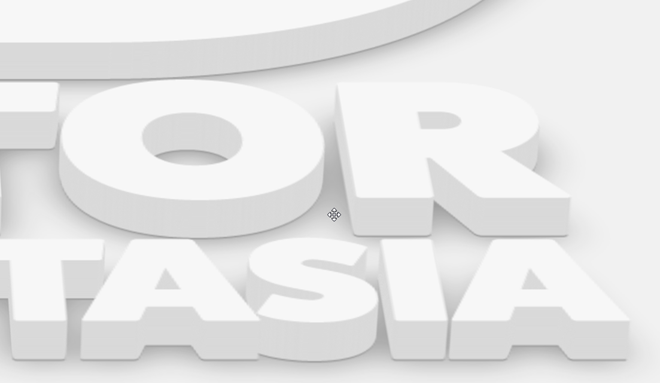 Perfect to breathe life into your logotype for video, spice up your graphics etc. Check out the video and more info below. We have spent a lot of work optimizing the template for best results. Here is a 300% enlargement so you can see the quality. There are no less than 15 different templates included. Five are fine-tuned for darker graphics, 5 for white and an additional five for your colorful images. 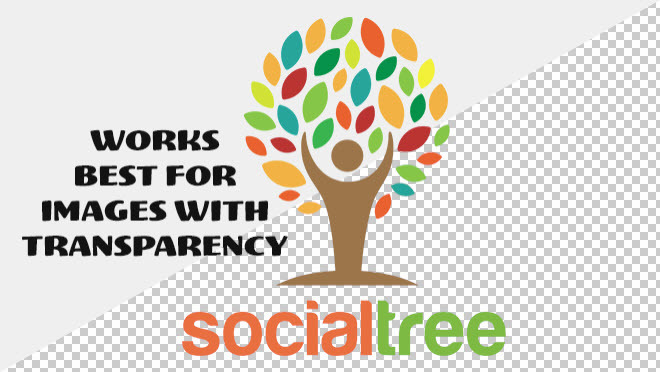 Image with transparent parts works best. You can use the creator on a square image, but it will simply be a square edge and a bit less interesting. 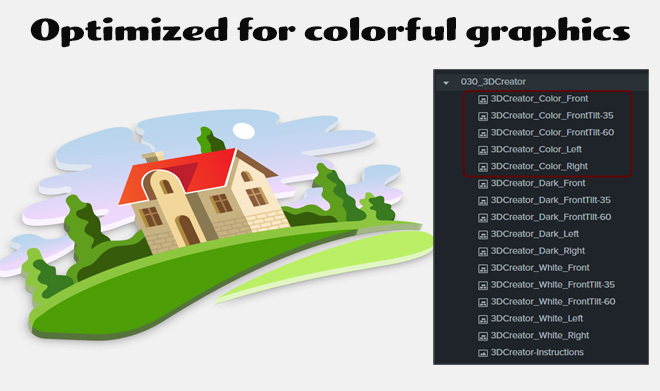 The templates can handle any image format that Camtasia can handle, but please note that if there is not transparency in the image (for example jpg images) the result will be a rectangle/square. TIF, PSD, PDF or other formats that Camtasia doesn’t import, will not work. 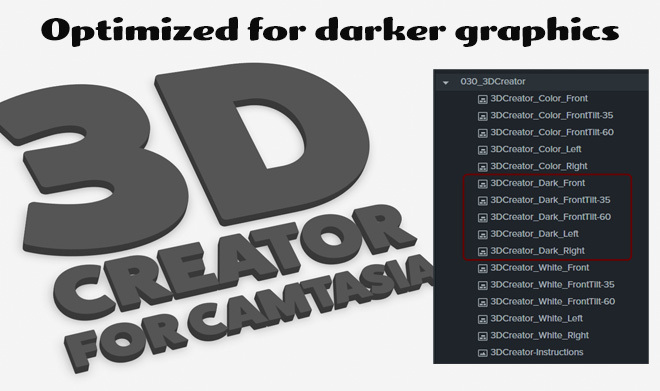 3D Creator is an independent Library Asset for Camtasia, made by SoftwareCasa/Callouts. 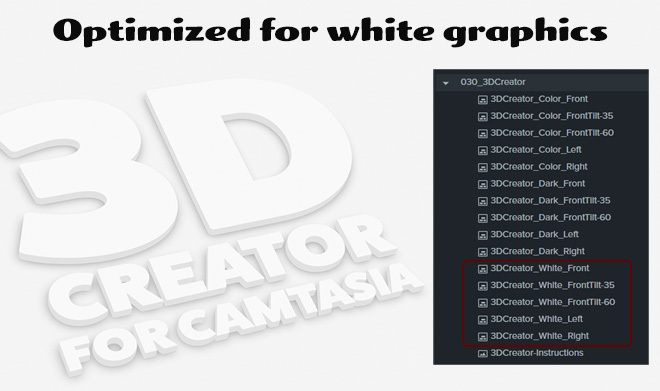 SoftwareCasa is not associated with TechSmith Corp.
3D Creator for Camtasia can be downloaded by members on www.callouts.com.